Medical experts have said that if the use of contraceptives methods is increased in Nigeria, the alarming maternal death rate of 576 will reduce by 50 per cent. They said this at a media roundtable on the role of family planning in reducing Nigeria’s maternal deaths of 576 every 100,000 live births and its link with population explosion. University of Lagos Resident Doctor, Dr. Olufunke Olamigoke, who said he defined Contraceptives Prevalent Rate (CPR) as the percentage of sexually active women of reproductive age between 25 and 49 years olds, who use contraceptives, said currently, Nigeria’s CPR is 14.6%. “At 14.6%, the CPR is low. If it can be increased to 36 per cent then the death rate of women dying of pregnancy related causes will reduce by 50 per cent in Nigeria,” she predicted. According to research, Nigeria is second leader of maternal deaths worldwide with 576 deaths from every 100,000 live births. 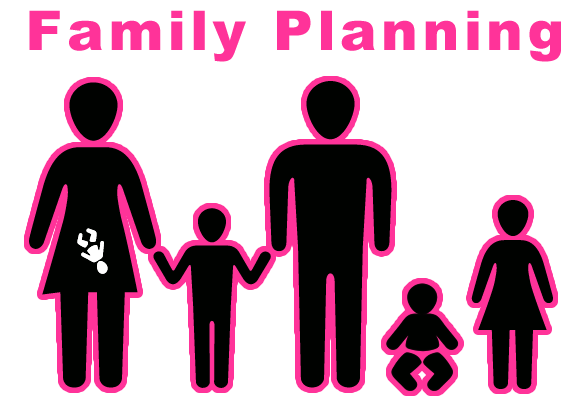 “Family planning is key in reducing maternal mortality, which is death recorded within 42 days of delivery”. 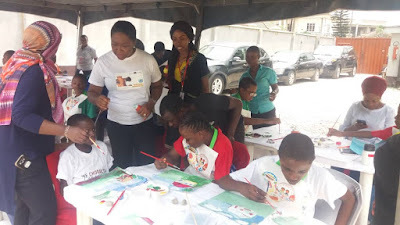 Olamigoke said: “Family planning reduces maternal deaths directly giving that Sustainable Development Goal aims to reduce maternal deaths to 70 per 100, 000 live births. “We can achieve this goal by use of contraceptives”. Therefore, on how to remove Nigeria from such position globally, she said women must ensure their body have sufficient time to recover before another pregnancy, increase antenatal care coverage, increase proportion of births attended by skilled health personnel, maintain healthy status and improve economic well-being of the family. “The health of the mother will affect the rest of the family. The health expert further listed some preventive measures against maternal deaths. “Encourage women to attend and attempt to deliver at hospitals. Only one third go for delivery after antenatal, skilled care during pregnancy and childbirth, emergency obstetric care, immediate post natal care”. With her passion for Women’s Health, she defined family planning as a way of thinking and living. It is a voluntary thing, which improves the knowledge, attitude and responsible decision of the individual or couples in order to promote the health and welfare of the family. Now, studies show some of the benefits of use of contraceptives as Olamigoke listed that it reduces the exposure to incidence of unplanned and unwanted pregnancies and reduces vulnerability to abortion risk, which accounts for 60 per cent of maternal mortality. “Abstinence is good. We preach it. But those who can not abstain should use contraceptives. It reduces the hazard of frailty from high parity pregnancies. So, increase CPR and the mortality will reduce. According to her, causes of maternal deaths in Nigeria are: Obstetrics, hemorrhage, out-of-womb delivery (ectopic), hypertensive disorder, unsafe abortion (adolescents procure abortion to avoid shame), obstructed labour, postpartum infection, anaemia (poor, inadequate nutrition), malaria and others (HIV, Diabetes among others). Meanwhile, BudgIt Project Officer, Agunloye Oyebola said globally, it has been estimated that about 350,000 women die yearly of preventable complications during child birth. Daily, approximately 2,300 under-five years olds and 145 women of childbearing age die in Nigeria. The United Nations has projected that by the end of 2050, Nigeria’s population will be 398million while it will increase to over 746 million by 2100. “It doesn’t look like our number is going down soon. He listed factors responsible for the population explosion as religion, lack of education, high infant mortality, male-child preference. “About 40 per cent of pregnancies in developing countries are unintended”.